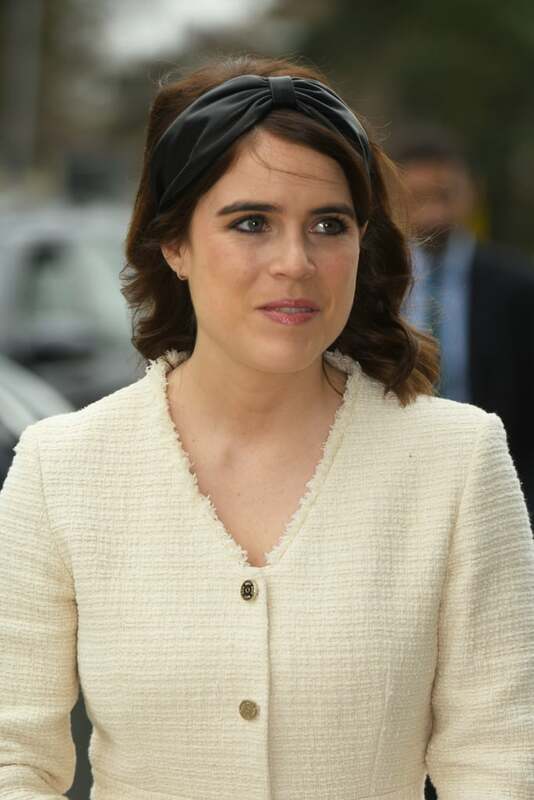 Princess Eugenie's always been a fan of fashion-forward headwear, but over recent years, she's swapped the giant fascinators and big hats for slightly subtler designs. 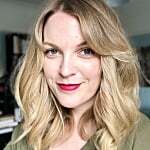 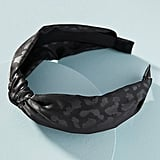 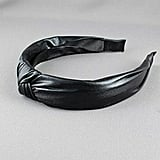 Both she and her sister, Beatrice, seem fond of wide fabric headbands as an alternative to hats, and recently, Eugenie's shown a particular love for a cool leather headband by Eugenia Kim. 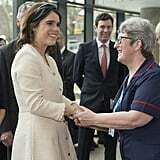 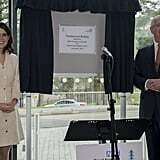 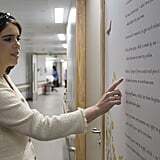 She first wore it for a trip to church on Christmas Day, and on Thursday, she reached for it again as she and her husband, Jack Brooksbank, joined her dad, Prince Andrew, for a visit to the Royal National Orthopaedic Hospital. 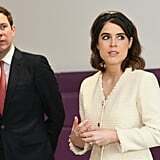 Eugenie teamed her headband with the Maje White Tweed Style Trapeze Dress ($445) and black accessories including a Chloé handbag and heels. 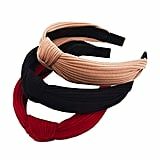 Though her original headband has now sold out, you can still get the look with some very similar styles. 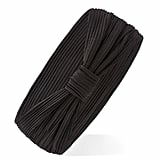 Keep reading for a closer look at Eugenie's statement headwear and to shop this accessory for yourself.